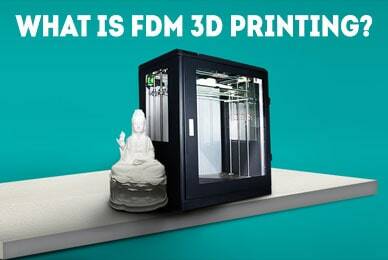 If you’re at all interested in tech, you’ve probably heard a lot of people mentioning 3D printing. After all, it’s been the driving force behind recent innovations in all kinds of sectors. 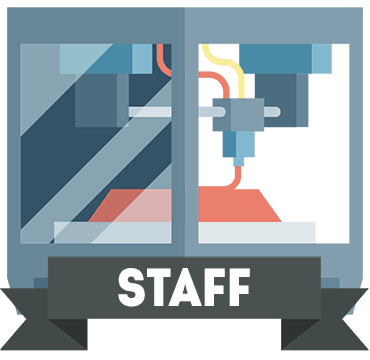 In this article, we’ll be explaining exactly what 3D printing is, how it works, and why you should care. At its most basic, 3D printing is simply a process used to create real-life products from a virtual model. Remember the replicator from Star Trek? It’s sort of like that, only with a lot more planning involved. The beauty of this tech is that it has almost infinite potential – sure, it can be used to create battery covers and small things for around the home, but it’s capable of so much more. In fact, right now, doctors and scientists are using this exact same process to solve organ shortages. Plane manufacturers have found that it’s a far more cost-effective way to create aircraft components, allowing them to cut prices for their customers. In Dubai, people are even starting to 3D print houses! Like all great undertakings, it all starts with preparation. Using advanced 3D modeling software, you can specify exactly what you want to create, be it as simple as a coaster, or as complex as a human prosthesis. When you’re done, you’ll have a fully-fledged blueprint to work with and change as needed. Once you’ve finalized your design, you’re free to begin printing. The printer heats up the filament (your construction material) until it becomes malleable, then begins constructing your masterpiece, layer by layer, over several hours. Here’s the thing: while the most basic 3D printers can only use a handful of different materials, there are some which are capable of printing with almost anything: wood, stone, you name it. The way these work is slightly different, but the end result is essentially the same: highly detailed products. Okay, But What Can I Do With A 3D Printer? Don’t get us wrong, you’re probably not going to change the world with your 3D printer (but if you do, feel free to let us know!). Want to know what you can do? Save yourself hours of trouble and a considerable amount of money. Let’s say, for instance, you accidentally break a locking nut on your bathroom pipes. You can turn the water off temporarily but if you don’t know the size of your pipes, you can’t order a replacement. Now you have two choices: order one of each nut and hope they arrive soon or measure the threads and create a custom fit one. Okay, that’s an extreme example, but there’s some real utility here. 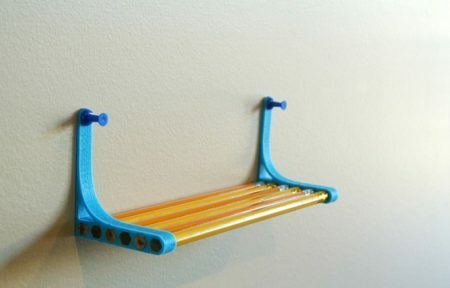 You can create your own shelves, hinges, brackets, bezels, whatever you like. 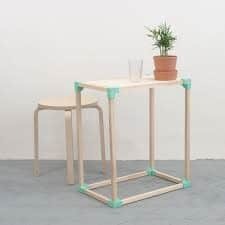 If you have the patience, there’s nothing stopping you creating bigger items, like a table or chairs. Luckily, you don’t have to create all these blueprints for yourself. There are numerous online repositories where other people upload their own plans for anyone to use. 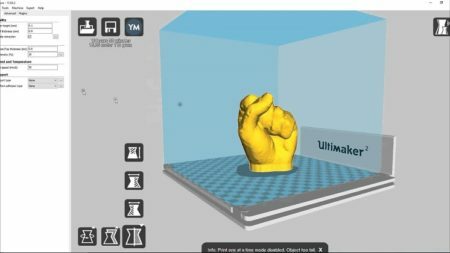 Take a look at MyMiniFactory and Pinshape, for instance – there are hundreds of plans to download. There are a few things you should consider before buying a 3D printer. After all, there’s no need to buy a really expensive one if you don’t plan to use it often. Below, we’ll be covering some of the most important things to think about before committing to a particular model. A lot of people believe 3D printing costs thousands of dollars but it doesn’t have to. Sure, like any hobby, 3D printing has a decent upfront cost, but once the printer itself has been purchased all you need is filament. This can be as cheap as $10 depending on the type, so it’s not as bad as you might have thought. The other thing to consider is that 3D printing, unlike conventional hobbies, allows you to save money down the line. If you buy a $200 printer and use it to print something that saves you $2, you’ve already begun to see some return on your investment. Now consider how much you can save over several years. For casual or hobbyist use, the less expensive printers will probably work just fine. These are usually limited to just a few different kinds of filament, too, which makes ordering additional supplies very simple. On the other hand, if you plan to print a lot, you’ll want a more heavy-duty model. These often have larger creation areas, multiple heads (called extruders), and faster print times. The downside is that they’re usually louder and more expensive, so you’ll want a dedicated printing area. 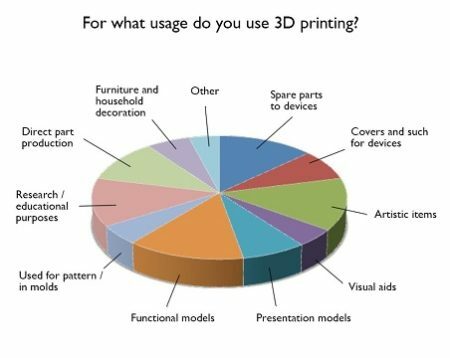 This depends on two things: the materials do you want to work with and which that your printer supports. 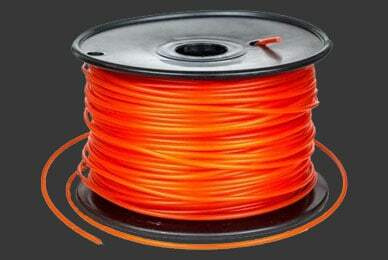 Generally, almost every printer accepts PLA and ABS filaments. These are simply two different kinds of plastic, each with their own advantages. So what about the more advanced types? Most mid-range printers will allow you to use a wider selection of materials, but each printer has different capabilities. For this reason, it’s important to carefully research each model before you buy. Nobody wants to find that their new, expensive filament isn’t compatible, right? One thing to watch out for: some companies use proprietary filament and your printer won’t work with anything else. There are a couple of issues with this. First, it allows them to charge more money and second, if the company goes bust, you can expect the filament to become very rare indeed. Although 3D printing has been around for a few years, it has finally become an affordable hobby for regular people. With an abundance of tutorials and guides, there’s nothing stopping you from getting involved with this exciting and promising new technology.